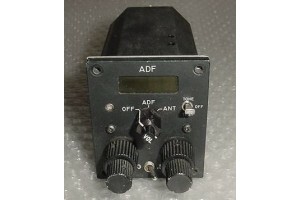 Digital RCA-101 ADF Control Selector Panel. P/N 100-1101-312. Digital RCA-101 ADF Control Selector Panel. Manufactured by Edwards Radio Co. P/N 100-1101-312. It was removed for avionics upgrade.